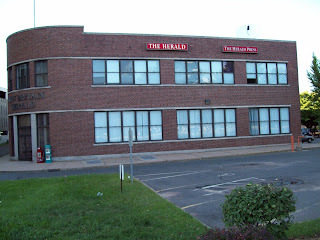 During the Memorial Day Parade a lawn mower appeared at the Former New Britain Herald Property which signifies that City hall is reading this blog since I made no Robot Call to city hall regarding this issue. I wish to thank Mayor O'Brien for his spending enough time to read this blog. Seeing that this blog has the Mayor's office lending an eye to this commentary I would be very happy receive, from the general public, addresses that have unkempt conditions, in your neighborhoods, that the Blight enforcement office has yet to appear at. Send your notices to franknbn@aol.com and such communications will be held strictly confidential but, as Former President Regan advised us all "Accept Buy Verify." FORMER ALDERMAN ASK " WHERE IS SHERWOOD"
The City’s 2013-2014 Budget has been reported to be a, “work in progress.” Translation ... that’s the best way to describe the fact that O’Brien and all his high paid office help, even one that lives in Berlin, do not have a clue about what they are doing. The Common Council has the Mayor’s proposed budget at this time. The Council has until June 9 to suggest changes in the Mayor’s Budget or accept it without any changes. After the Council votes, the Mayor may accept its recommendation or veto the Council’s decision. Admittedly, the process is being stalled by the fact that the State General assembly has yet to make final, the State Budget. Until it does, the City does not know exactly the funding amounts for the various state contributions to be received for municipal budgets. Some municipalities in the State completed their budgets weeks ago. I wonder how! 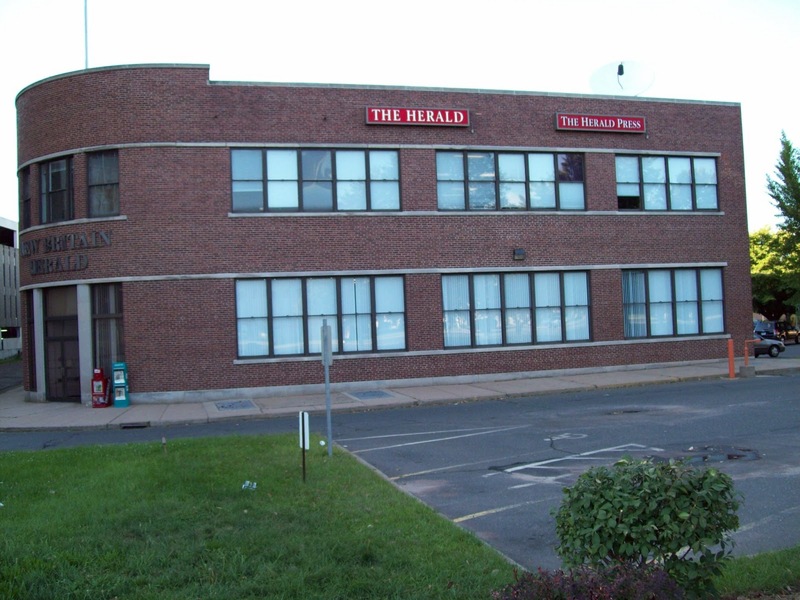 Keauthammer Names the "Biggest Scandal of All"
If New Britain's Mayor is so concerned with "BLIGHT" why hasn't he gone after the owners of the former New Britain Herald Building, on Chestnut Street, to get this owner to at least mow the grass in front of their building. The New Britain Republican Party's Mayoral Candidate that will be announced, on a future date, will certainly be the demise for the candidacy of our Robot-Calling Mayor O'Brien. Bertha Lewis and all of her Crew will not be able to save her chosen Mayoral Candidate this time even with the additional help of the Governor Malloy. Robin Vinci of the New Britain City Journal Offers A $250 Reward. To anyone catching someone on camera or videotape tampering with our news boxes. Please call 860-505-7612 and report this criminal destruction of property to us. New Britain's Mayor O'Brien's Imaginary Budget Income. Setting a new fees structure for the town clerk's office when in reality these fees are set by state statute and cannot be raised legally. Using the Hospital garage income for the entire year when he will be losing that income when the garage is turned over to Hartford Hospital within six months or so into the fiscal year. Raising the conveyance taxes, within his proposal, by an approximate million dollars is as imaginary one can get to fantasy land. The Mayor's projection of an income increase of ten million dollars more last year's income budget Is fabricating reality to the City's taxpayers. Any Alderman that supports any of the mayor's projections that include the no tax increase promised by him, when we all know the tax re-valuation will also take place, forcing a mil rate increase of an approximate 8-9 mils, should be eliminated from office come our next election this November. I strongly urge all the city's alderman to closely examine all the proposed income and expenses being proposed by Mayor O'Brien and his acting Finance Director, Ms. Becky Salerni, for the sake of the taxpayers you have been elected to represent. Discloser: Mr. Smith is a member of NBCPOA and is also it's current Treasurer. denied a motion for mistrial sought by the defense team after a defense witness gets death threats. We don’t want to tap into City money,” Tawfik said. She believes money can be made through the senior housing "Authority" to help pay for the community center once completed. What can New Britain do to attend to the problems that have devastated student performance in its public schools? There has been no shortage of opinions. Many commenter's have put the blame on “flat funding” of the education budget while others have chosen to blame individuals on the BOE and New Britain’s public school teachers. None of these efforts really have much merit. 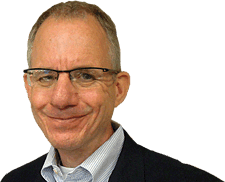 In the Herald, most of what are probably the most reflective, prolific and productive comments have been written by a frequent contributor to the Herald, Columnist Chris Powell, Managing Editor of another publication. Mr. Powell, cites poverty and “fatherlessness” as the most important root causes, two factors that are in abundance in New Britain schools. New Britain students’ abysmal performance on State standardized tests is testament to this fact. Efforts by Governor Malloy to address the achievement gap between the poor and affluent students in Connecticut are discouraging to the State’s teachers that are, by and large, dedicated to teaching and personally helping students toward a more productive life. In the 1980s, the State initiated the Educational Enhancement reform - I was one of the beneficiaries - that was designed, largely, to enhance teacher compensation. This Act did little to improve test scores. In all the years since, the achievement gap has worsened as have the test scores. Recent efforts in NB toward addressing the achievement problem have centered mostly toward “throwing” more money at education. Increasing education funding from the State has been promised as has the same from Mayor O’Brien. One of the more ridiculous ideas is bonding for textbooks and other supplies. My prediction? WON’T WORK! Until efforts by the State and the individual municipalities are dedicated to addressing poverty and fatherlessness, “free stuff” like cell phones etc., will have few or no positive effects. The more giveaway programs we have, the less self reliance we engender. Taxpayers beware; it seems as though the government mantra now, is, taxpayers be damned! 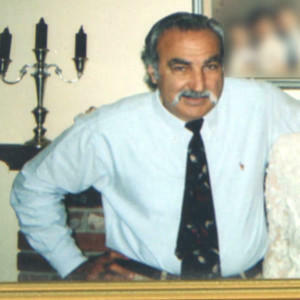 Bob De Cosmo, President, CTPOA Inc. When the CT Property Owners Alliance learned New Britain was planning to charge fees for calls and responses to the 911-Emergency Network we where infuriated. After all, these services are already paid by property taxes and charging fees raises a constitutional issue of "Double-taxation." Despite overwhelming public objection to their proposal, the New Britain Hot Spot Ordinance passed their Common Council and became law late last year. Shortly after its passage, some well-trusted Attorneys contacted me and mentioned bringing a lawsuit against the city because 911-calls are a protected form of speech under our First Amendment Rights and guaranteed by the U.S. constitution. At the start of the 2013 General Assembly Session, two State Representatives proposed separate Bills to do away with these 911-fees. Representative Larry Butler of Waterbury and Representative Robert Sampson of Wolcott had the decency to step up to the plate and defend the public's safety by proposing legislation that would repeal the Hot Spot Ordinance. Now with just 3 weeks remaining in the General Assembly session, the effectiveness and fate of House Bill #6015 is in question as some groups have objected to the original language in the proposal and a "Work in progress Bill" has now become a daunting task. The CT State Firefighters Association raised concerns that some cities with Volunteer Fire Departments will lose revenue as they do charge for certain emergency responses such as toxic clean-ups at accident scenes. The Insurance Association of Connecticut grew concerned that other cities will begin charging fees for 911-calls and this will raise premiums on polices as owners pass these new costs along as claims. Other groups have also stepped into the mix including the CT Conference of Municipalities who sees future revenue possibilities for cities from 911-fees and the Legal Assistance Resource Center of Connecticut is concerned about inner city residents being negatively impacted by fees associated with 911-calls. Another reason to repeal the "911-Hot Spot fee" is clearly demonstrated in a recent lawsuit filed on April 24, 2013 by the ACLU in the matter of Lakisha Brigs vs. The Borough of Norristown, Pennsylvania, et al. Norristown, Pennsylvania had a 3-strike Nuisance Policy with similar intent to New Britain's Hot Spot ordinance. An individual did not want a 3rd strike issued on their neighbor who was involved in an alcohol fueled abusive relationship. The Pennsylvania lawsuit resulted after a tenant was brutally stabbed because a neighbor turned a blind eye to the commotion next-door and failed to dial 911. That unfortunate incident and the resulting lawsuit in Pennsylvania will no doubt repeat itself here in Connecticut if the 911-fees are not repealed. We truly believe people will hesitate to dial 911 not knowing if there is a monetary penalty looming over placing that particular call! We request the Connecticut Legislature "PROTECT THE PUBLIC'S SAFETY," before somebody gets hurt or dies and that is why CTPOA requires a strike-all and substitute amendment for the current Bill File Copy. To conclude, we are proposing substitute language for HB 6015 to protect the public's safety and prevent other cities from enacting similar 911-laws as a revenue opportunity. Time is short and if we can't get an amendment filed on HB 6015 and move the Bill towards passage this week we'll need to go into a full-scale campaign to repel fees for 911-calls. Citizens deserve the right to a free 911 Emergency System! "No municipality may impose a fee, charge, or the pro rata costs thereof on any person based upon the number of requests and responses for emergency services dispatched to a particular property address. Nothing in this section prohibits a municipality from assessing a fee or charge for an excessive number of false alarms conveyed to the municipality through a monitored alarm system." Deflections, Not Answers - Citizen's Property Owners Association Inc.
New Britain's Liberal Common Council Democrats Forgives Taxes owed By the Human Resources Agency during a recent Council meeting. However, as of Wednesday May 8Th., a lien has been placed against HRA'S property located 180 Clinton Street, for the sum of $223,704.02. It appears that the COPA will not have to ponder their promised legal action regarding this issue. Democratic Horseply at the Common Council meetings! New Britain's Common Council Democratic Membership meeting after meeting continually add numerous items to their agenda at the start of each common council meeting without complying to the twenty four hour public notice even to the point of having members on the other side of the isle, voice a complaint that they have just received this information on arrival to the council meeting and requesting more time to evaluate the matter, only to be ignored by the Democratic leadership. The Republicans should file a complaint to the proper State Agency regarding these improper actions by the Democrats. The City of New Britain's Budget Hearing! The best line given by the speakers was" You need to cut the spending and do not raise my taxes". We need you here tonight! We need you here tonight! The CPOA needs your help! Tonight at 6:30pm the CPOA will be holding a taxpayer rally in front of the New Britain High School Auditorium to protest the fictional budget that has been proposed by Mayor O'Brien. We need you to attend so that we send a strong message to the Common Council! You may have read about the Mayor's proposed budget on our website or perhaps in the New Britain City Journal. If you haven't, trust me, it is bad. The Mayor is steering the city on a path to fiscal ruin and appears to be attempting to buy re-election by selling away our future. Now is the time to put a stop to the madness. You can sign up for our rally and share it with your friends on Facebook or you can just forward this email to all of your friends. Most importantly be there tonight at 6:30pm! And please stay for the budget hearing at 7:00pm with the Common Council. They need to hear our voices! 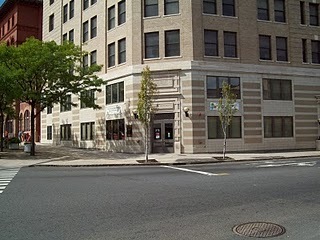 Copyright �� 2013 Citizens' Property Owners Association of New Britain, All rights reserved. Taxpayer Rally Thursday! » Citizen's Property Owners Association Inc.
Benghazi: Will Hillary be charged with obstruction of justice? With the Mayor of New Britain getting himself directly involved with erasing twenty five years of the current and future taxes owed by HRA, a sum approximately in excess of 5.5 Million dollars. The city's tax collector, Cheryl S. Blogoslawski, has the elected authority to declare the Mayor's action and that of Council members, that voted for the forgiving of HRA'S twenty five years of taxes, illegal. It is her sworn duty for her to take immediate action. With the major tenant being HRA, who doesn't like to pay taxes. How will they pay for all the labor for teachers and upkeep of the building such as maintenance, heat and air conditioning? With HRA'S history, it is all questionable. It is urgent that you make a phone call to these Legislators before Monday May 6th to prevent House Bill 6015 from dying. Just say we need to keep this Bill moving along to protect the public and there never should be a charge for using 911 or paying for police and fire department responses. YES, THIS MEANS YOU SPECIFICALLY MUST CONTACT THESE FOLKS, DON'T RELY ON SOMEBODY ELSE TO PROTECT YOUR PROPERTY! I also do want to remind residents that a $25,000 reward is still out there for information leading to the arrest and conviction of Mayor Tim O’Brien and/or his co-hort Phil Sherwood. I am told a lot of information has been received, but more is appreciated. I didn’t want those two to think we had forgotten about them. It's here!!!! They were told to hide the tax; but Cabela's, a popular sporting goods store, refused to hide the tax. Welcome to Obamacare. I really hope that all recipients of this e-mail will forward it. YOU HAVE TO READ THIS!! IT'S A MUST!! Medical Excise Tax on Retail Receipts. This is amazing. This is an image of a sales receipt from Cabela's, a popular sporting goods store. to hide it and are showing it as a separate line item tax on their receipts, the email states. 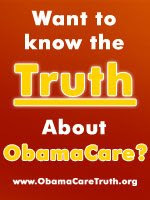 an accurate portrayal of something hidden in Obamacare that I was not aware of! Now being skeptical of this I went to the IRS website and found this! additional information on the determination of sale price. So being more curious, I clicked on "Chapter 5 of IRS Publication 510." Fishing tackle boxes; Bows, quivers, broadheads, and points; Arrow shafts; Coal; Taxable tires; Gas guzzler automobiles; and Vaccines. laden with a whole lot of taxes that we the people have yet to be aware of. According to various sources the Public Hearing on the Mayor’s budget will take place next week on Thursday, May 9, 2013. The location will likely be the New Britain High School but the time is still unknown (though it has typically been between 6:00 and 7:00 to start in the past.) The CPOA hopes to have a fact sheet and various talking points available by the start of next week, but you can also look through our various past articles on the budget for some details. UPDATE: The start of the meeting will be 7:00pm. The CPOA may be planning a rally to take place before the meeting. We will provide more information as it becomes available. By: Steve Collins Re: Fuller is the only Democrat on the Bristol Council.